The Councils involved have informed us that Kingsway Southbound will be closed again this weekend from 21.00hrs on Friday to 03.00hrs on Monday morning, this is to allow more cabling work to take place. The northbound Kingsway is likely to remain closed for a while yet (the latest estimate is around three weeks) which means that the Strand Road Underpass will also remain closed to facilitate repairs. More information at Camden Council’s website. The serious fire in Kingsway, which started the Wednesday before Easter, has had a significant and prolonged impact across The Northbank, for businesses, residents and visitors. While thankfully no lives were lost, there has been huge financial cost to businesses over what is an important trading weekend in the year. We must learn lessons from this experience and improve resilience and business continuity plans to minimise the negative impacts should something like this happen again. We received helpful feedback from businesses during the incident, but we are keen to gather as much information as possible in the coming weeks. The BID will be speaking to businesses to ensure the views of our members can be put forward as we speak to local authorities, emergency services and utility providers in the future. Finally for now, the BID is already making plans to hold a Business Continuity event for local businesses before the summer. This is something that was already being planned as we take emergency planning very seriously at the BID and we know the importance of it to business, however the recent fire only reminds us that this effort is timely. The Royal Horseguards Hotel just off Northumberland Avenue is offering anyone who was affected by the fire and power outage a reduced rate on meeting rooms and conference space. 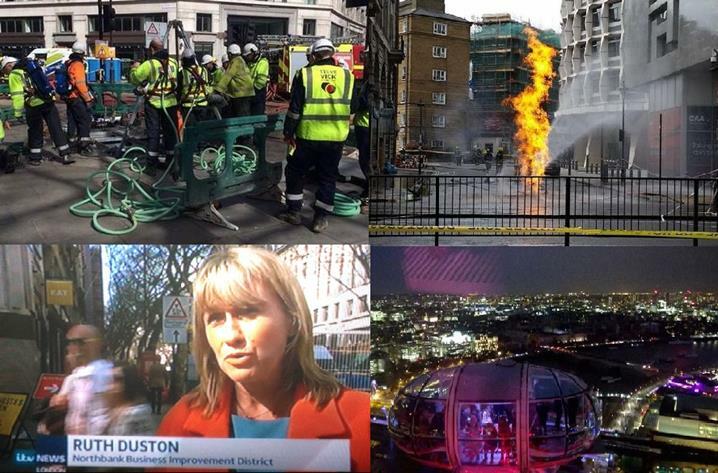 Simply call Melissa on 02074510424 and quote “Holborn Fire”.